The experiment that was Cortez Allen as a starting cornerback for the Pittsburgh Steelers has officially come to an end. As reported by various outlets–including the team’s official website–Allen, 27, was released on Friday after five seasons. According to UPI.com, Allen, who was scheduled to make $4.4 million in 2016, was let go after refusing to take a pay-cut. Cortez Allen was the team’s fourth round pick out of The Citadel in the 2011 NFL Draft, and after showing a lot of promise near the end of the 2012 season–including two interceptions and a fumble recovery–and emerging as a starter in 2013, the front-office decided to reward him with a five-year contract extension prior to the 2014 season. After watching Keenan Lewis, a third round pick in 2009, develop into perhaps the team’s best cornerback in 2012 and then leave via free-agency that offseason, Pittsburgh didn’t want to make the same mistake with Allen. 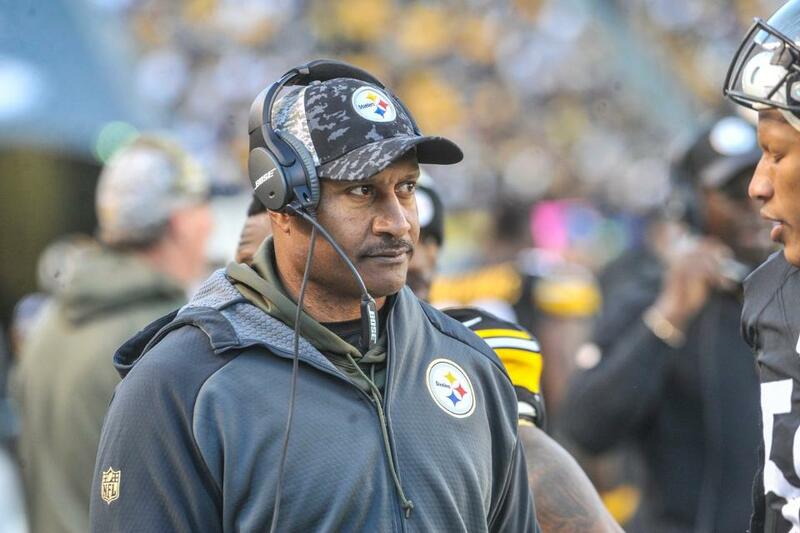 Unfortunately, injuries and ineffective play stymied Allen’s 2014 season, and by the time the Steelers were marching towards the playoffs and their first AFC North crown in four years, he had been surpassed on the cornerback depth chart by journeymen Antwon Blake and Brice McCain and was pretty much a non-factor. The 2015 season would not prove to be a resurgence for Allen, as injuries reduced his season to just one game. Steelers head coach Mike Tomlin pointedly refused to give Allen a vote of confidence in his season-ending press conference following the loss to the Broncos in the divisional round. And after months to think things over, Tomlin again hinted that Allen’s time with the team had pretty much come to an end when he addressed the media in March while in Boca Raton, Florida, for the annual owners’ meetings. With Allen’s release following the free-agent departures of Antwon Blake and Brandon Boykin, at the very least the Steelers will have to address their cornerback depth in the 2016 NFL Draft, which kicks off on April 28. We are excited about getting Senquez Golson back in the mix. I think oftentimes he is forgotten about. We were excited about him a year ago when we drafted him. I still share that same level of excitement. I can’t wait to get him on the grass. Mike Tomlin’s embrace of Senquez Golson is both revealing and alarming. The 2015 Steelers weak spot was cornerback and it remains so a month into free agency with Antwon Blake and Brandon Boykin departing. However, last spring plays like the one below prompted the Pittsburgh Steelers to pick Senquez Golson with their 2nd round pick in the 2015 NFL Draft. The athleticism, tracking ability and discipline Golson reveals in the play would leave any coach licking his chops. But Golson unfortunately course injured his shoulder in Steelers OTA’s last year, sat out training camp on the PUP list, and lost his rookie season to shoulder surgery. The headline, “Rookie season lost to injury” sounds ominous, but should it? Starting your career on injured reserve is hardly ideal, but several Seelers have bounced such setbacks. Sean Spence lost his first two years to injury, yet Spence was starting for the injured Ryan Shazier by week 4 of 2014. Keenan Lewis suited up for a handful of games in 2009, but his rookie season was marred by injury. Lewis didn’t do much in 2010 either. He flashed little in 2011, and by 2012 he’d improved so much he became the guy the Steelers couldn’t afford to keep. A torn ACL cost the legendary Greg Lloyd his rookie season, and another knee injury cost him the first half of his second season. Yet by the end of 1988, Lloyd was pushing for starting time, and going into 1989 NFL Draft, Greg Lloyd had made the reigning single season sack leader Mike Merriweather expendable. Mike Tomlin’s faith in Golson is hardly unprecedented. However, placing too much hope in a rookie’s ability to bounce back from injury is generally a mistake, and the case of Kris Farris reveals why. The Steelers offensive line needed help in 1999. Badly. When Jerome Bettis had arrived via trade in 1996, he proclaimed that running behind the Steelers offensive line was “Like running down hill.” But by 1999, the line had lost Leon Searcy, John Jackson, Justin Strzelczyk, Will Wolford to free agency, injury and retirement. Worse yet, Bill Cowher and Tom Donahoe had swung and missed badly in attempting to replace them by drafting Jamain Stephens, Paul Wiggins and Chris Conrad. Drafting the 1999 Outland Trophy winner would appear to be a sure bet to snap that streak, if only the Steelers got the chance. The Steelers got that chance in the third round of the 1999 NFL Draft, taking the Outland Trophy winner Kris Farris the middle of their trio of 3rd round picks that year. But during rookie workouts Farris’ foot began to get sore. At first he’d be OK after a few minutes, but each day it took longer to feel normal. Farris aggravated the injury on Memorial Day, sat out veteran mini-camp, and took it easy, hoping the rest would ready him for St. Vincents. Kris Farris, not wanting to beg off of Bill Cowher’s annual run test, told the Steelers he was 90 to 95%. Farris gave it his all, but when it was all over a concerned Kordell Stewart and Jerome Bettis approached him because he looked so pale. Farris tried to make a go of it in the first full pads practice of Camp Cowher 1999, but could not finish. Subsequent MRI’s reveal cracks and then a full hairline fracture in his foot. 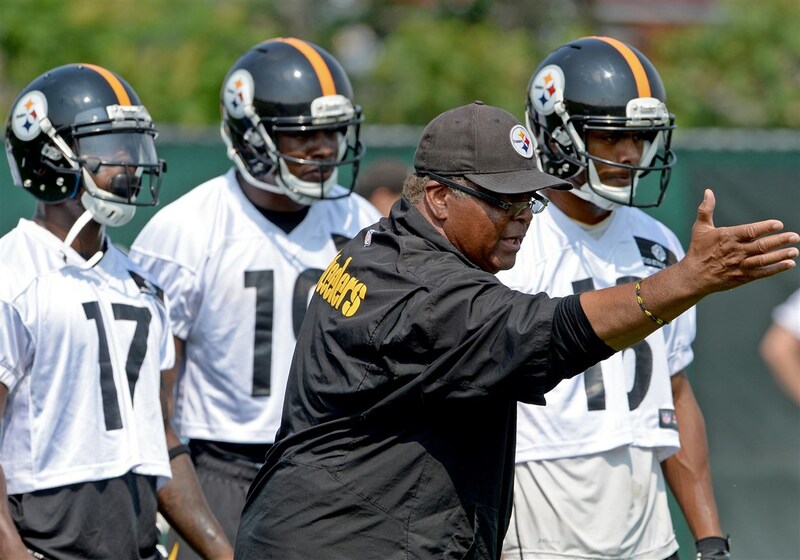 The Steelers put Kris Farris on season-ending injured reserve, and hoped for the best. Kris Farris returned to St. Vincents with the Steelers in the summer of 2000, but earned reputation for “being soft” and Steelers cut Farris trimmed their roster to 70. The Bengals picked him up, but he was unable hold a roster spot in Cincinnati. Tom Donahoe brought Farris to Buffalo in 2001, did manage to play 3 games in 2001 but, in an cruelly ironic moment, Farris broke his leg in a 20-3 loss to the Steelers. Sadly, Farris never played football again. The moral of the story isn’t that the Steelers can’t improve at cornerback from 2015 to 2016. Despite that disappointment, the 2000 Steelers were far stronger at right tackle with rookie Marvel Smith, 1999’s third stringer Shar Pourdanesh and Larry Tharpe been out of football in 1999, but whom Kevin Colbert knew from his Detroit days. But Kris Farris’ story also should serve as a caution against the Steelers pinning too many of their hopes for improving at cornerback on Senquez Golsen. 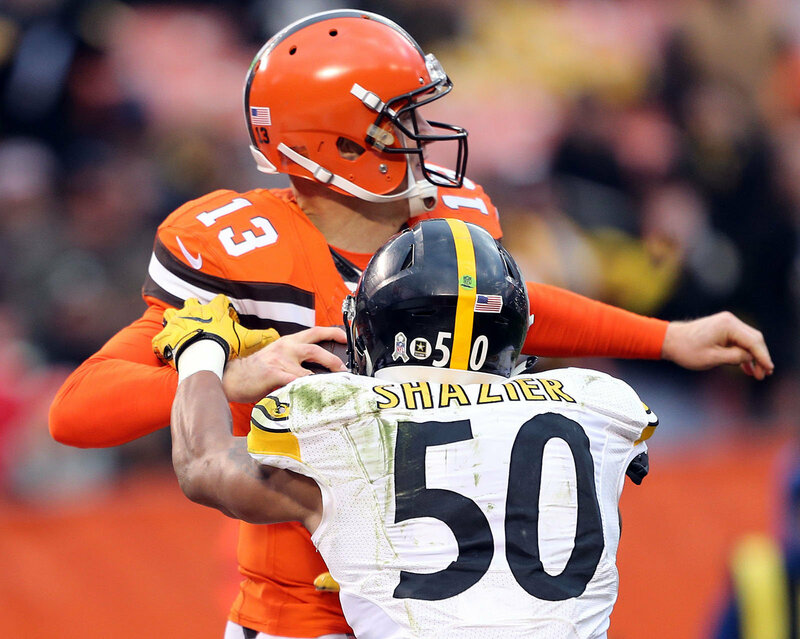 Is 2016 the year the Pittsburgh Steelers make a splash in free agency? ….Probably not. The Steelers never make a significant splash in free-agency, but this doesn’t mean they can’t make some moves that fans will feel good about. Two years ago, the signings of safety Mike Mitchell and reserve running back LeGarrette Blount were met with great enthusiasm, especially after a few off seasons of financial blood-lettings that included the departure of promising corner Keenan Lewis and the release of veteran linebacker James Harrison in 2013. All those years of cap massaging finally left Pittsburgh with no space at all, and the 2013 offseason was certainly a depressing time, complete with the inevitability that the upcoming regular season was going to be a bit of a downer, which it was–at least the 2-6 first half. 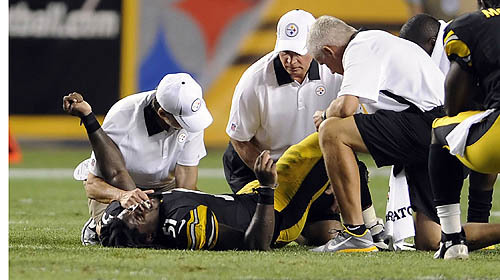 Obviously, Mitchell, who was injured, didn’t do much in 2014 but draw the ire of fans for his underwhelming play; Blount ultimately drew the wrath of teammates, coaches and, of course, the fans for his actions that included smoking a joint with Le’Veon Bell the day before an exhibition game in August and walking off the field moments ahead of the rest of his team near the end of the Steelers Monday night win over the Tennessee Titans. But while the moves didn’t do much to help the 2014 team, they were good in-theory, and Pittsburgh’s 2015 free-agent running back do-over that was the signing of long-time Panthers’ veteran (and good guy) DeAngelo Williams more than made up for the gamble on Blount. While Williams’ arrival to Pittsburghwas far from a splash, boy did he save the Steelers bacon in 2015. 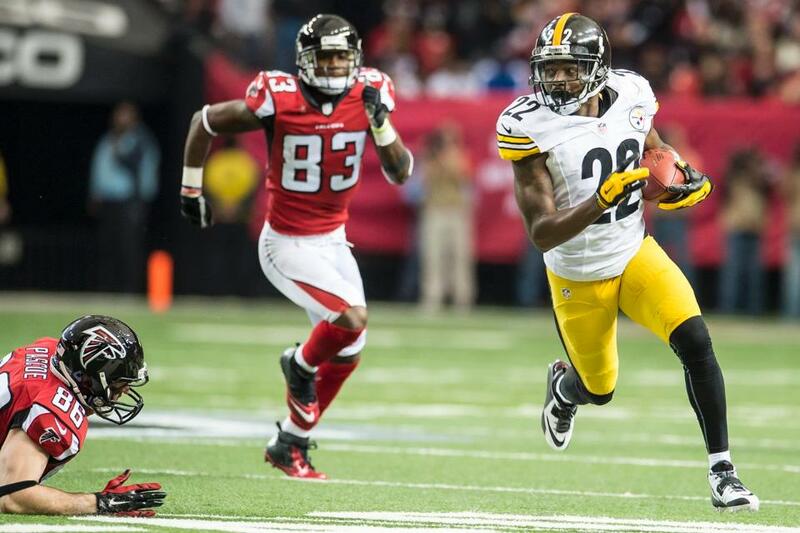 Due to a suspension and season-ending knee injury, Bell wound up only playing in six regular season games. In his place, Williams, who responded to a challenge by head coach Mike Tomlin and came to training camp in the best shape in years, started 10 games and rushed for 907 yards (the third-highest total of his already accomplished career). As for Mitchell’s 2015 regular season, it was significantly better and the kind of upgrade over the retired Ryan Clark that everyone initially envisioned when he came on board the year before. According to to the website Over the Cap, the Steelers have approximately $11.3 million of cap space, heading into free-agency. That’s a fair amount, but certainly not enough to go after one significant player. But that’s okay, because football is a team sport. While fans and the media like to fall all over themselves this time of year, after downtrodden organizations with a lot of room like the Buccaneers and Jaguars sign big names, the fact is, the smart moves can often make the biggest difference. For the Steelers, maybe those smart moves will simply be re-signing guard Ramon Foster and/or cornerback William Gay. Maybe it’s going out and finding a dependable, veteran tight end who, if he doesn’t start in place of the young Jesse James, could be an upgrade over Matt Spaeth. How about finding a reserve defensive lineman that is an improvement over Cam Thomas? None of these moves would get the Steelers added to any list of free-agent “winners,” but championships are won in January and February, not March and April. A small ripple doesn’t have the same kind of initial impact as a big splash, but, in the long run, it can often be more effective.